How to Split MBOX File Size Using Manual Procedure? 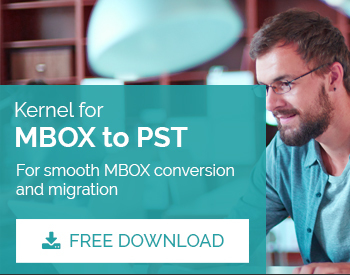 MBOX, also known as Berkeley format, is used by many email clients to hold emails. And this format is used by many email client applications including AppleMail, WebMail, PocoMail, Gmail, Postbox, Entourage, Eudora, Opera, Netscape, Thunderbird, Spicebird, Evolution, PowerMail, Claws Mail, SeaMonkey, Sylpheed, GyazMail, Gnu, Mulberry, Sparrow, The Bat!, etc. In MBOX, the email content is saved in text file (usually with .mbox extension) wherein every message gets saved one after another in a serial fashion. Each message starts with “From” and a white space, and the ending point of each email is indicated with a blank line. There are multiple issues that users may face while working with MBOX files like error in opening a file, platform incompatibility, corruption of files, etc. Though recent versions of Thunderbird do not put any restrictions on the size of MBOX folders (earlier versions had 4GB as the limit), smaller file sizes are always recommended. This is because the maximum permissible file size depends on the OS file system too. Also, large file sizes can cause some abnormal behavior in some email clients. How to reduce the size of MBOX files? Delete unnecessary emails and compact folders It is the first step anyone could think to create some free space. Look over your mailbox to find out the emails that are not required, and delete them. However, in many MBOX email clients, the folders need to be compacted so as to reclaim the space created by the deletion of items as this is not done automatically. Create two extra copies of the mbox file. Open one of those copies with the text editor. Click anywhere in the middle of the file. Search for the header named as Message ID. It contains a unique value for every mail. Scroll to the end of the message. Delete entire message below that point and save the file. Open the other copy of your file. Find the unique Message ID from where you split. Then, delete all the messages above that Message ID and save it. MBOX users can choose different ways reduce the size of their MBOX files. As the first method, they can delete the unwanted emails and then compact the folders. Alternately, they can split the MBOX file manually using a text editor.